I love watching cooking shows on TV when I was young. Apart from learning through observing my grandmother, mother and aunties cook and helping them in the kitchen, part of what I know on traditional cooking came from these wonderfully made TV programmes, especially those on Channel 12 which later became Art Central. That was way before the time of reality cooking shows like Masterchef where drama seems to take centrestage instead of the food. And it was easily 10-15 years ago as even Arts Central has now become part of history to make way for “Okto”. That was when my TV watching days were over. Almost 10 years ago, there was a series of TV programmes featuring Peranakan culture and cuisine. Most memorable were “The Ways of the Matriarch”, “The Cook, His Food and the Dishy Nyonyas” as well as “On the Trail of the Phoenix”. 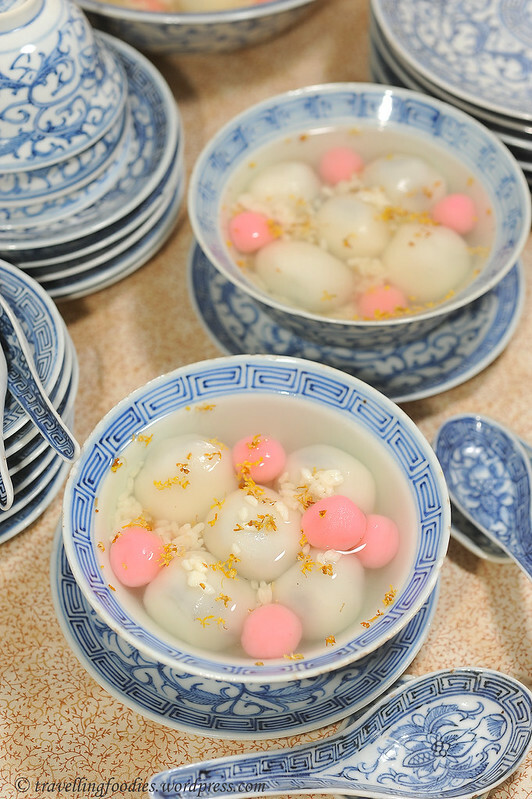 It is the last after which the Peranakan dishes presented in this blog were named as It was through these TV programmes that I’d learnt much about the intricacies of Straits Chinese cuisine and its preparation. 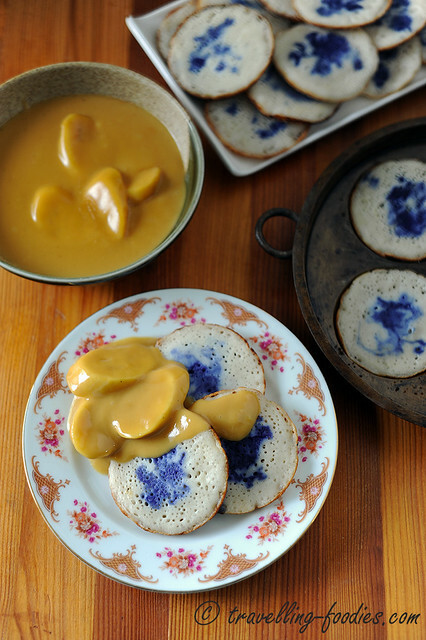 One of the most impressionable dishes being showcased was Apom Berkuah, I remembered vividly the contrasting swirls of blue from juice extracted from bunga telang against the ivory colored fluffy rice cakes. After all these years, I’d finally gotten a chance to make them myself. Truly sedap!